A longtime tennis coach has served up an ace in the town of Parker. Barry Riddle, a 17-year Parker resident and founder of Parker Tennis Center, is breaking ground on a $5.8 million, 44,000-square-foot tennis facility in late November. The project, called the Parker Racquet Club, received unanimous approval from Parker’s city council on Sept. 5. The club is leasing 5 acres from the city at 18396 E. Plaza Drive for the facility, which will contain six indoor and four outdoor courts. The Parker Racquet Club features an indoor balcony with tables and chairs for spectators to watch matches being played on the courts below. “We’re the only ones in the metro area that have that ability,” Riddle said. In addition to the courts, Riddle said, the facility includes a welcome center, offices, locker rooms, a lounge and tennis retail. Outdoors, the courts are lighted for night play. There is also a 1,500-square-foot patio for guests. Riddle, who played college tennis at the University of Northern Colorado, moved to Parker with his wife 17 years ago. “We noticed there were not any publicly accessible tennis parks in Parker,” he said. He helped to build Railbender Skate and Tennis Park, which has six lighted tennis courts, in the town in 2009. “Since then, our programs have grown basically by double digits every year,” he said. He now oversees the instruction and programs for as many as 600 kids and several thousand adults every year. Riddle is funding the project through a $5 million SBA loan from Midwest Regional Bank as well as funding from individuals. The club hired Essenza Architecture and Centerre Construction for the buildout. It’s planning on a late summer or early fall opening next year. While Riddle currently employs three full-time and 10 part-time instructors, he’s looking to hire as many as 10 full-time and 20 part-time workers for the new Parker Racquet Club. 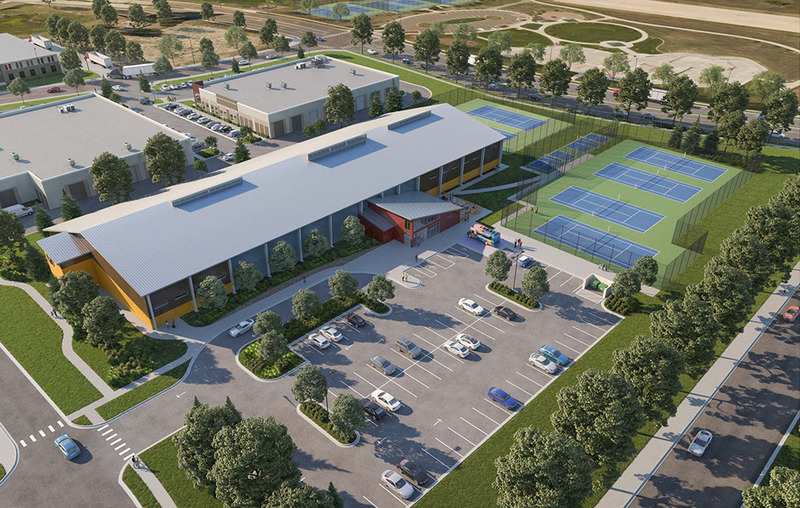 In addition to the Parker Racquet Club, a project proposed near the University of Denver for an indoor and outdoor tennis facility is in the works. In conjunction with DU, Denver Public Schools and the nonprofit Denver Tennis Park, the $11.3 million indoor and outdoor facility will be the site for DU’s tennis teams, youth programs and public play, according to The Denver Post. 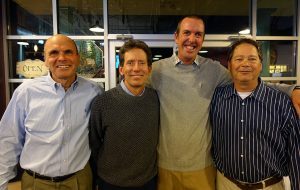 Other indoor tennis facilities in Denver include Greenwood Athletic and Tennis Club, Lifetime Fitness and Tennis and Colorado Athletic Club, Riddle said, and he plans to stand out by offering cheaper membership and drop-in prices. 1 Comment on "$6M tennis facility gets green light in Parker"
Thank you to your group and Kate Tracy for the story about the Parker Racquet Club.